Ready-to-install grease fitting relocation hose available in standard in-stock lengths at a lower cost than custom fabricated hoses. Note: The bearing end of our extension hoses has a 1/8″ MNPT thread. Thread adapters may be required for bearings with other thread types. Choose your hose length below. For other lengths from 6in. to 12ft, see our custom length hose page. Ready-to-install grease fitting relocation hose available in standard in-stock lengths at a lower cost than custom fabricated hoses. 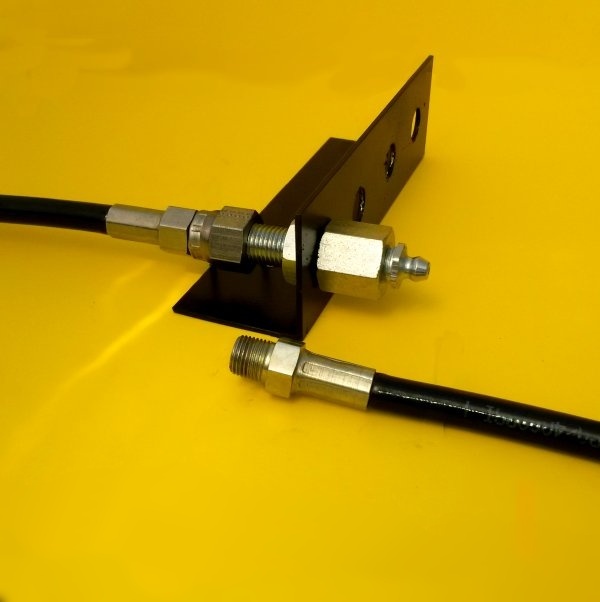 High pressure hose ends are permanently installed on thermoplastic high pressure hose. The 1/8″ inside diameter saves grease because one ounce of grease will fill 12′ of hose. High pressure rated hose will withstand the extreme pressures generated by grease guns. 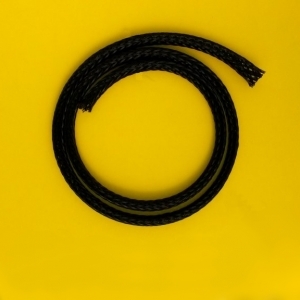 Hoses tolerate equipment vibration and will flex with moving machinery. 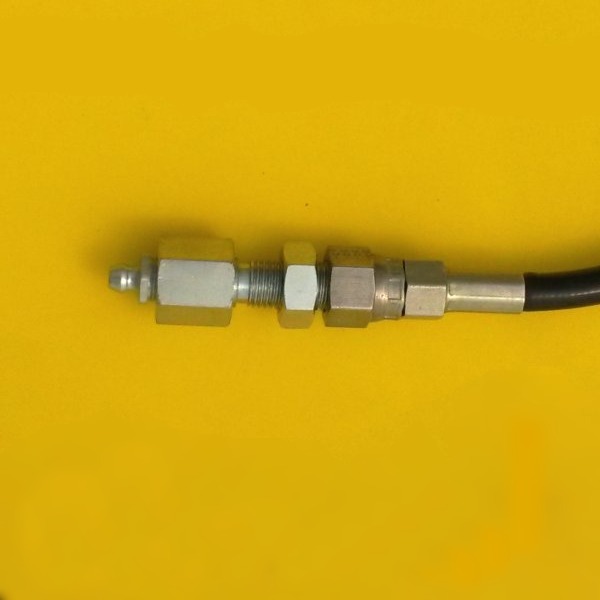 All grease fitting relocation hose come with a 1/8″ male NPT thread on the grease port end and a 1/8″ female NPT thread on the bulkhead fitting. A 1/8″ NPT grease fitting is installed on the bulkhead fitting. Hose length will be measured from the tip of the grease port fitting to the face of the bulkhead on the other end. Delivered length may vary by up to half an inch from the ordered length. 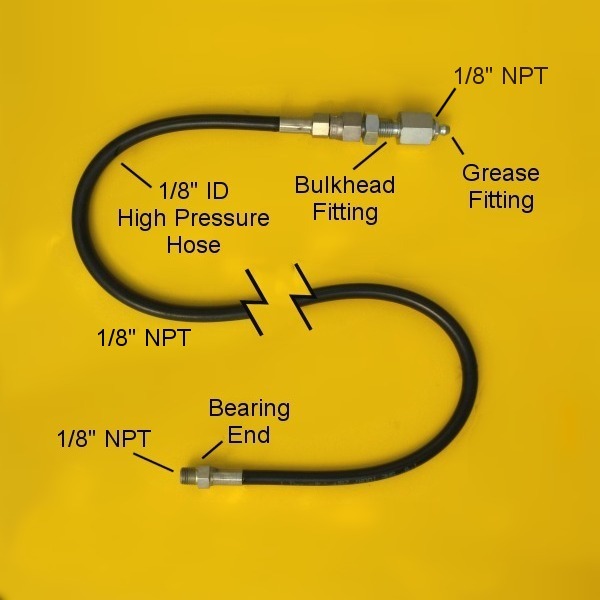 1/8″ inside diameter grease extension hose made to your measurements. Our grease fitting relocation hoses include everything needed to relocate your grease fittings in many applications. Additional fittings and adapters may be needed depending on your specific equipment. Hose Lengths from 6 inches to 12 feet in length are available by ordering a Custom Length Grease Fitting Relocation Hose. Thread adapters will be needed if your bearing grease port is any thread other than 1/8″ NPT. 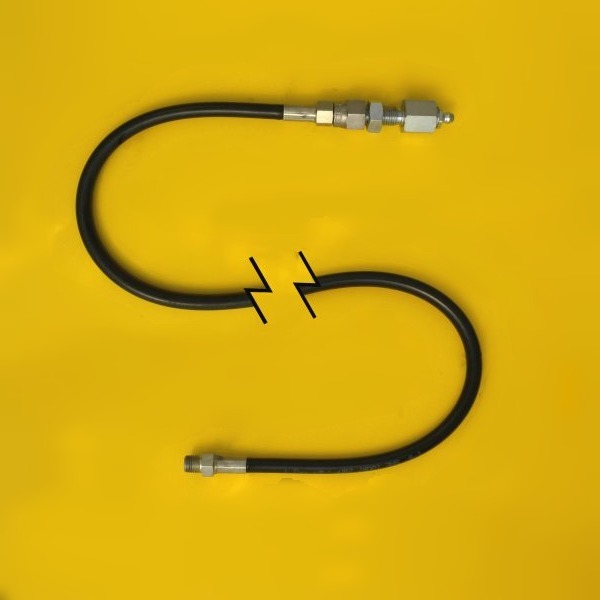 90º and 45º ells are also available for connecting hose to the grease port at these angles. Bulkhead rail: the bulkhead fitting can be installed into one of our bulkhead mounting rails or can be installed into any 7/16″ hole in material up to 1/2″ thickness. Other fittings and accessories can be found on our product catalog page. For custom hose lengths from 6 inches to 12 feet long see our custom length hose page. ...but only if bearings are actually being greased with that nickle's worth of grease. Hard to reach or hard to see fittings are often overlooked. Skimping on lubrication costs money. Avoid overlooked lubrication. Relocate inaccessible grease fittings to an easy-to-reach location. 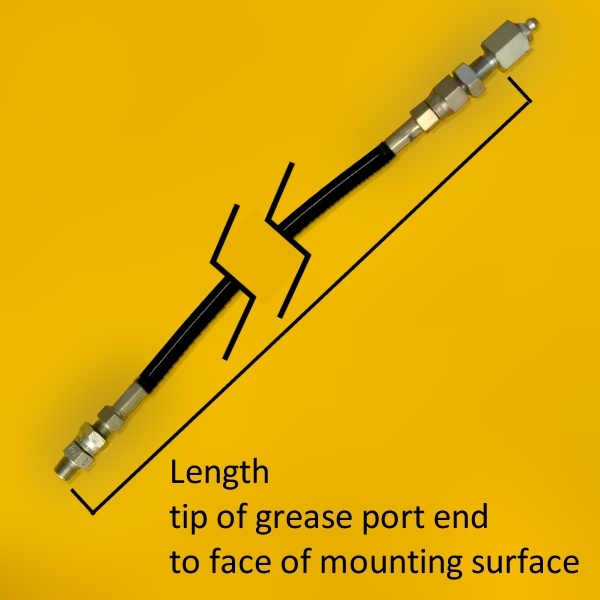 Grease Fitting Extension Hoses Pay for Themselves in Reduced Repair and Downtime Costs!